The best hikes in Tasmania - an inspiring list! We found another hiking paradise and it’s called Tasmania. Located on the opposite part of the world for us, we spent a month here, exploring what Australians call ‘the Apple Island’ by foot and by bike. We knew that Tasmania had some pretty spectacular scenery to offer but we kept on being surprised over and over again by the diversity of this place. One day we’d stand with our feet in the sand on some stunning beach and the next day we’d be in a rain forrest discovering the prettiest little waterfalls. When you are going hiking here, there is no way you will get disappointed. Here is our selection of the best hikes in Tasmania! This hike is probably the most walked trek in Cradle Mountain National Park, maybe even in all of Tasmania. 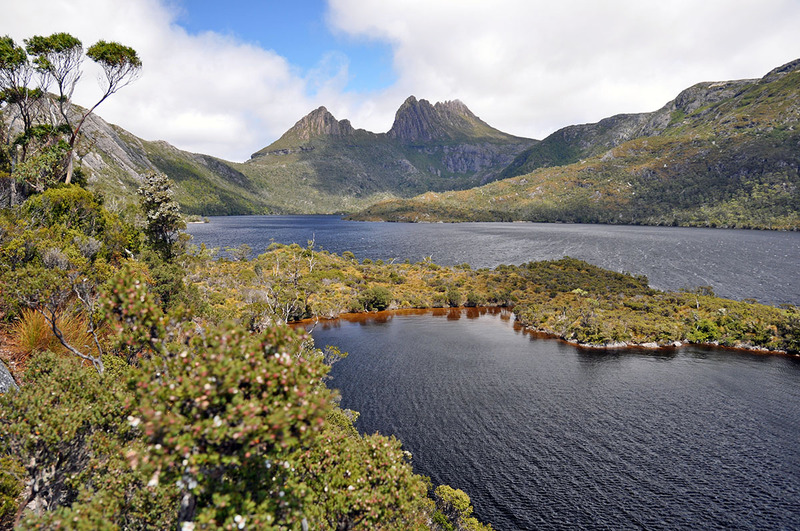 Dove Lake is located at the base of Cradle Mountain after which the park was named and is easily accessible for hikers. Whether you want to make a full loop (6 km, approximately 2 hours) or just walk a little bit, you will definitely enjoy this hike a lot. It’s advised that you do this walk clockwise to reduce the number of oncoming traffic. Although the trail is well paved at most places, it can become quite narrow at some spots. The hike starts at the Dove Lake Parking Lot and is best reached by shuttle bus, as driving into the park with your vehicle may become a bit of a challenge as the road up to the lake is narrow and windy. Along the way there are various viewpoints, stairs, boardwalks and at the end of the trail, almost back at the carpark, you will find an old cabin which is a great spot for photos. As Dove Lake Circuit is among the most popular hikes in the park, you’re best off doing this in the early morning or late afternoon to avoid the crowds. 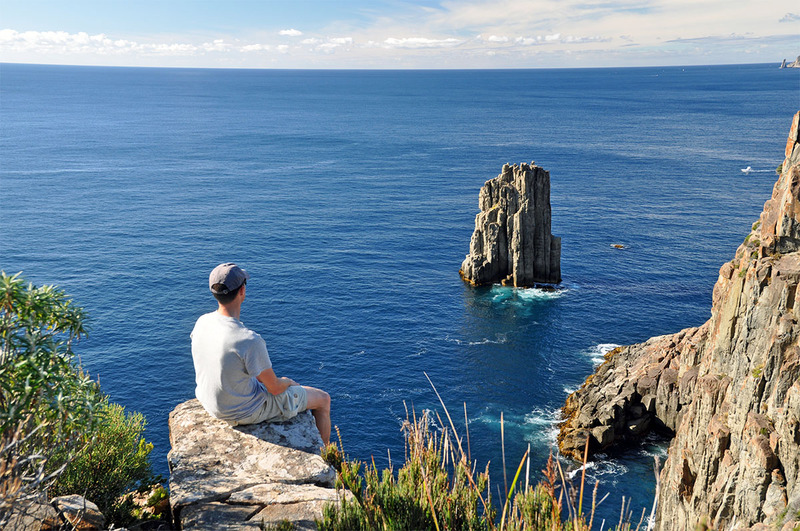 My favorite hike of this trip was the trek to Cape Hauy in Tasman National Park, located on the Tasman Peninsula. This hike was advised to us by a couple from Melbourne who recalled doing this hike during one of their previous visits to Tasmania and since we always enjoy getting advise from other hikers, we decided to go and do this one. The trailhead to the Cape Hauy Track can be found at Fortescue Bay, which is just a few kilometers from the main road. It can only be reached on an unpaved road and most rental car companies won’t allow this, so drive carefully! As the trail tends to get quite busy and we were visting during a weekend, we decided to camp at Fortescue Bay campsite (reservations recommended) the night before, so we could make an early start. According to the signs it was a moderate hike but I assume the track has been upgraded recently, also because of the newly opened Three Capes Track, which connects three of the Tasman Peninsula’s Capes through this multi-day hike. The path was well marked and easy, apart from the steps that were laid out, it was not very strenuous. And there are a lot of steps. I haven’t counted them but they were a lot. A LOT! After about two hours, we arrived at the final destination: Cape Hauy, with stunning vistas over what I like to call ‘the end of Tasmania’. Unfortunately, the cape is fenced off keeping you from taking really spectacular pictures, but you can still make them along the way. Another thing to consider is that afternoon may be the better time of day to do this. We arrived at Cape Hauy with the sun right ahead of us, making it really difficult to take good pictures. If I’d have known this, we probably would have done the hike the afternoon before. It was gorgeous nonetheless though. Number three on the list of best hikes in Tasmania is the climb up Mount Amos. Located in Freycinet National Park, this is not a walk in the park for the unfit or the unadventurous. 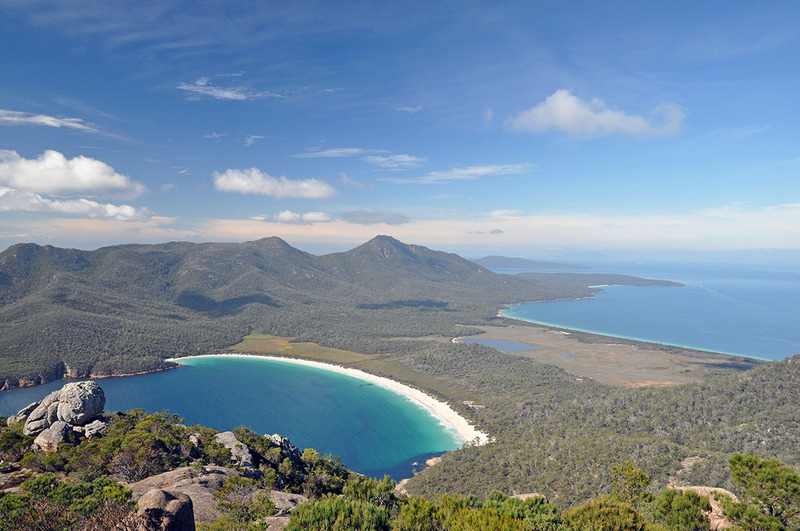 If you want to see the famous Wineglass Bay from its best point, this is you hike. Yet… I didn’t make it (Martijn did) because it became too steep and unstable for my taste. We had read various warnings ofcourse and also spoke to a park ranger who urged us to be very careful and along the way up, we passed many people who said they came back because it became too much for them. It’s a nearly vertical trek up the rocky face of the mountain and you will need to scramble for quite a bit. It’s about 4 hours return if you are fast and remember, do not even consider this hike in wet conditions, the rocks get extremely slippery in wet or foggy conditions and it becomes dangerous. The view from the top is awesome though, well worth the climb! 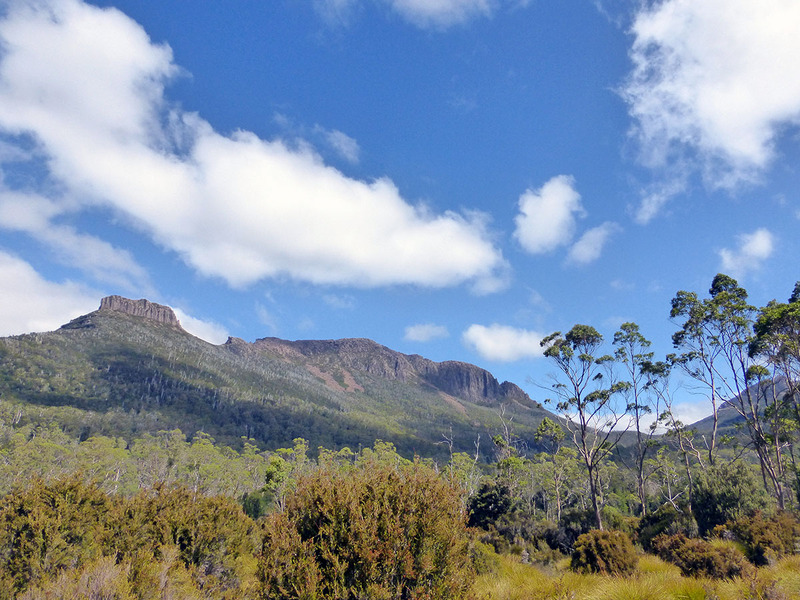 Our main reason to go to Tasmania was to cycle and of course to hike the famous Overland Track. 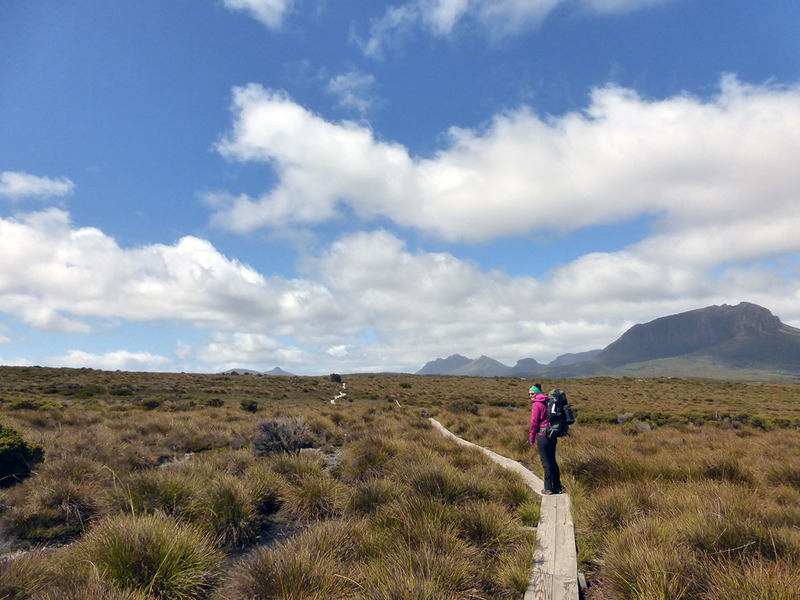 This 5-6 day trek from Cradle Mountain NP to Lake St. Clair NP is said to be one of the finest multi day hikes in the world and has been praised by Cheryl Strayed on the National Geographic website. We really loved the hike, but it also disappointed us in some ways because of the weather. When you go hiking in Tasmania, you can’t always have good weather. But on our Overland Track hike, we had rain nearly every day, making it impossible to climb Cradle Mountain. Or Mount Ossa, the highest peak in Tassie. What we loved about the hike, is that you have to hike it from north to south in high season, so you barely see other hikers during the day. Overnighting is in huts or at campsites (you must bring a tent in case the hut is full) and you need to book well ahead because there is a maximum number of people that can start the trek each day. This 5 km hike can be found on Maria Island National Park, one of the unplanned sights we visited in Tasmania. 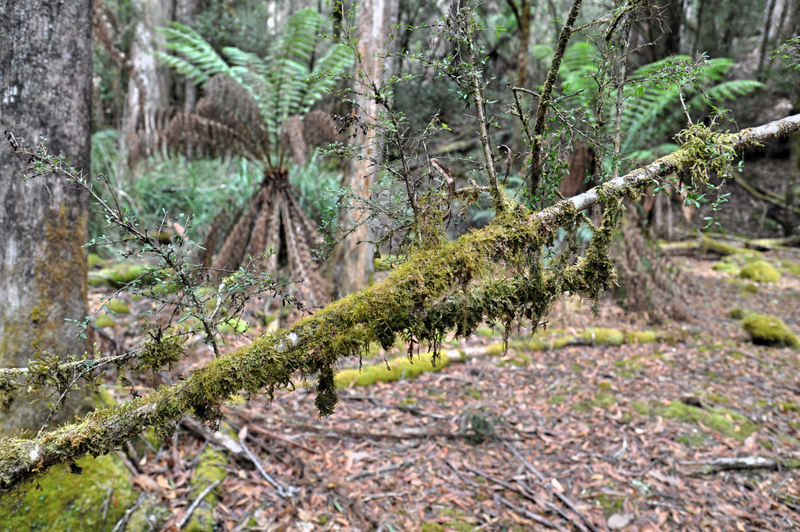 While on the Overland Track, we were advised by one of the hut wardens to head out to ‘Maria’ as they call it, because of its abundant wildlife. Well, wildlife we got, there were kangaroos, wallabies and wombats all over. As we had less than 24 hours to spend here, we decided to do the Painted Cliffs Hike on the east coast. From Darlington Bay it’s an easy hike through the woods and after about half an hour, you reach the shore. Here, you can admire the Painted Cliffs, depending on the tide. If it’s in the afternoon, the sun lights up the cliffs even more, so that is definitely the best time to go. We had high tide though, so it’s a it of a challenge to get to the cliffs and take good pictures. The beach next to it is just gorgeous, it’s full of driftwood and the color is magnificent. 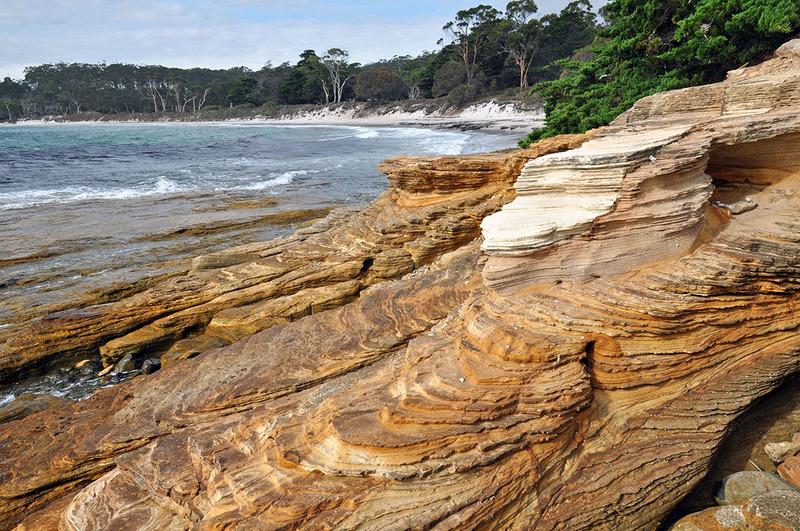 This part of Maria Island was definitely one of the most scenic we found on all of Tasmania! Tasmania is full of spectaculair waterfalls and some of the easiest accessible ones, are the Russel Falls in Mount Field National Park, which is just about a one hour drive up north from Hobart. The walk up to the falls is no longer than 10 minutes so we opted to hike the whole circuit, adding the Lady Barron Falls and the Big Trees. Along the way you can find various interpretive signs as well as lots of wildlife. The hike is very easy yet there are quite a lot of steps. Another plus is that in case it’s a gloomy day, you can see all of it because most is in the woods anyway which will keep you rather dry when it’s raining. If you are visiting Tasmania for a short period of time, this is definitely one of the easiest accessible ones of the best hikes in Tasmania! We did plenty of other short walks and many of them were amazing. If you planning on hiking in Tasmania, make sure to stop at the Visitors Center in Hobart where they can give you a small booklet with a list of the 60 best hikes in Tasmania. In the end, we did ten of them so we got a pretty good taste of what Tasmania’s hiking trails are like. If you are not Hobart bound, or want to plan a bit in advance, you can also download the app. It’s called ’60 Great Short Walks’. While planning our trip to Tasmania, we knew there’d be a lot to see and do. Many people thought we were crazy for flying all the way to Australia, just to see Tasmania. However, we can truly say that, no matter how much time you are spending there, it will never be long enough. We really hope to be back one day as we met quite some locals who advised the most amazing hikes to us. Needless to say, we really want to check them out one day! Before you go, also make sure to order your copy of Lonely Planet Tasmania, our favorite guidebook for planning our trips all over the world. 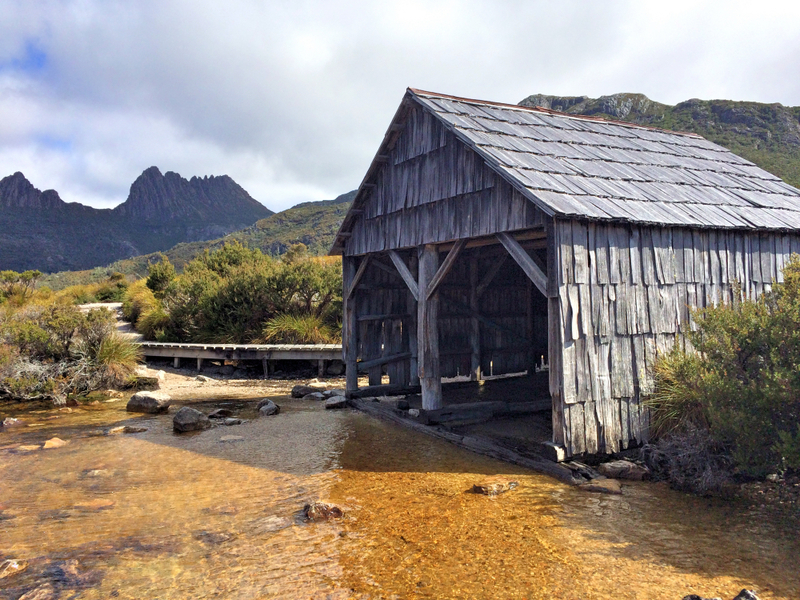 – Tasmania Roadtrip: when the nav said no but the map said Go! – Biking in Tasmania: our tips and tricks for an awesome ride! Thanks for the info! Mt. Amos looks absolutely stunning! WOW! The photos of all your hikes looks incredible and makes me want to book a flight there asap! Haha, no worries Meg, I know it’s totally different when you live somewhere. I hope you can discover some more of the beauty, it truly is a gorgeous place! Ahh we were supposed to make it to The Lake District last year but the boat was too expensive. We heard it’s a great place for hiking! 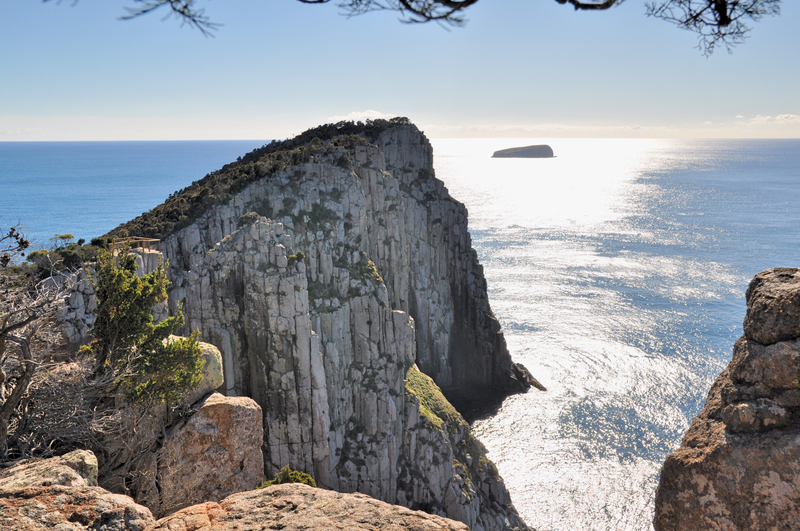 I’m blown away by the photo’s of Cape Vauy, what in incredible looking spot! If I ever visit Tasmania, I want to go explore some of these places. I keep telling myself to get more active and door outdoorsy type things – hiking sounds perfect. I hope you can make it to Tasmania one day, it’a an awesome place! I haven’t done much hiking so far in my life, but my hiking trip to Wales a few weeks ago got me hooked and I really want to start going on hiking trips more. Tasmania looks amazing! Wales has to be awesome for hiking, really want to go there one day! I’ve been seeing more posts on Tasmania, I think people are starting to realise how beautifully suitable it is as a holiday destination. I wouldn’t mind giving one of those hikes a try in good weather! Looks like a fantastic location to get video footage with a drone. Yeah it does seem to get more and more populair and indeed, it must be great to have a drone go up there! Yeah it’s a great place for hiking! This scenery is absolutely incredible. I’ve heard a lot about the local wine as well so I think there’s a couple of reasons for me to visit Tasmania now. Thanks! Yes, there are wineries, we stopped at the Freycinet Winery, totally worth it! 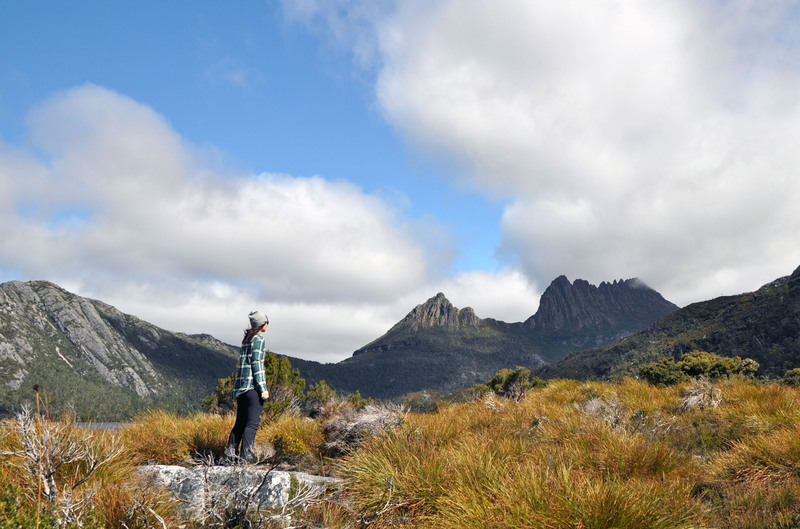 I love hiking and Tasmania is now under my radar – so many great hikes! I heard about trip to Dove Lake, but seems there is so much more for hikers there! Yeah, we were amazed by the possibilities, too! Those hikes look fab. The Russel Falls hike looks especially gorgeous with an end at that fabulous falls (reminds me of a national park in Croatia actually). I love hiking on holiday, makes up for all the terrible eating and drinking, and it’s become one of my favorite parts of travel! We are heading out to Tasmania for 8 days and I’ve been doing about five hours of research on where to go where we can maximize our camping spirit and see as much as possible. The hardest thing for us is actually mapping where we would start and end – we are trying not to rent a car and we would like to backpack most of our trip camping on the ground. I’m thinking the Overland Track is the best option but I would love to get your input. Thanks! 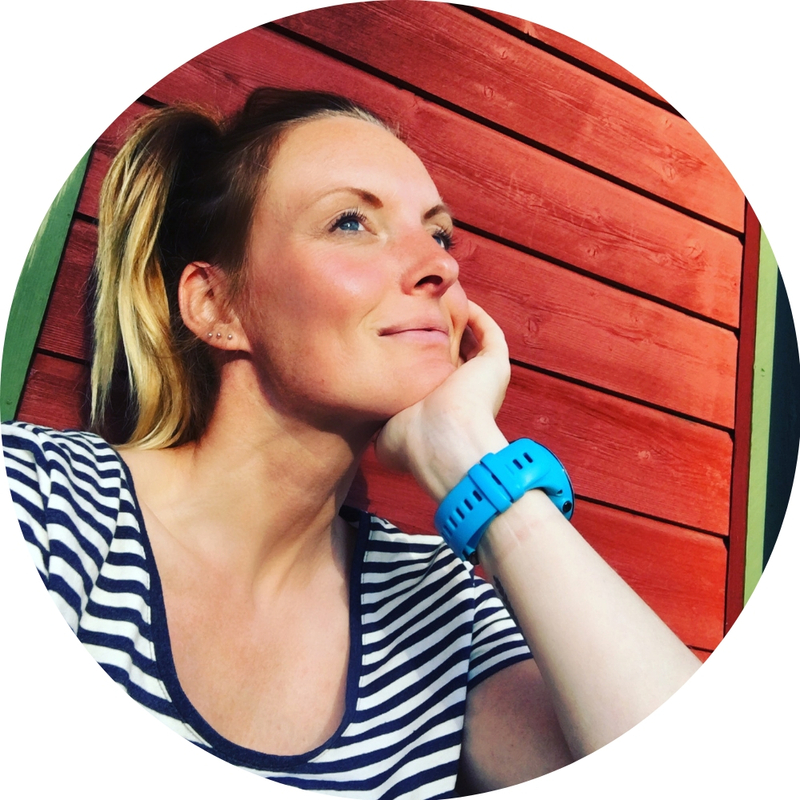 Your stories are inspiring! Thanks for your visit to our site! The Overland Track is definitely the best hike to make! When are you traveling? We didn’t have a car and used Tassielink for the bus transportation. You can either do that from Hobart or from Launceston, depending on where you are starting your journey. You can only do this in one direction though, so you’d have to start north and then hike south, unless you are going outside of the high season. I think there are also busses going to/from the east coast with Tassielink, other places will be a bit more tricky if you don’t have a vehicle. If you need any help planning, feel free to drop me a line at anto at we12travel.com so I can send you more detailed info! your photos are simply stunning and so beautiful! I really loved the first photo! 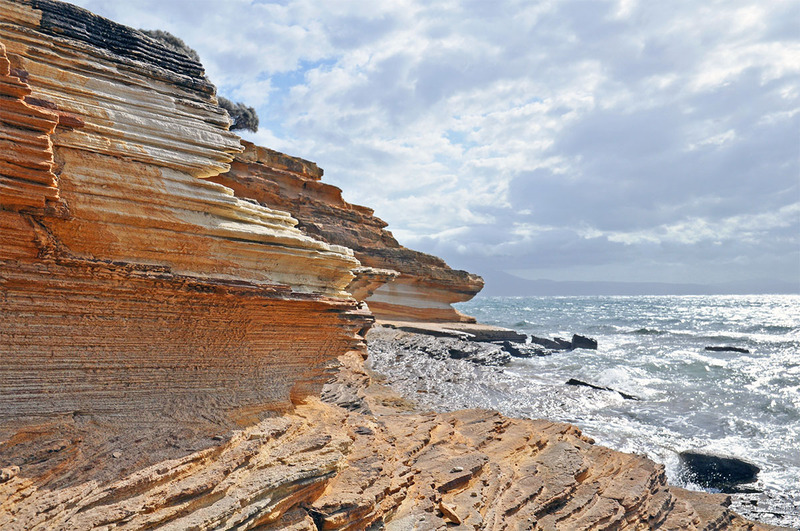 Thanks for sharing this, Tasmania is indeed a must visit! What a great article. I’ve done all of these hikes, some several times, but my absolute favourite was the Overland. Luckily we were blessed with wonderful weather. It can make such a difference to the experience. Thank you for this, we have a couple to tick off as a family yet. We are blessed to live in Tasmania. We proudly did Mount Amos with our two 5 year olds and 8 year old last year and it is spectacular. 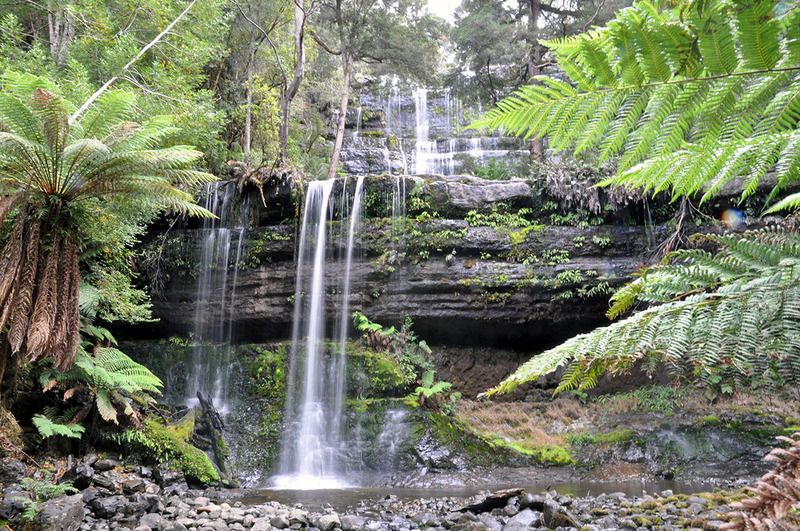 You have inspired us to do another bush walk these school holidays! Oh wow, well done with the little ones! Thanks for your message (and sorry for the late reply, I was in South America for a while). Am happy to hear we inspired us to get out more, you are certainly blessed to live in Tasmania!